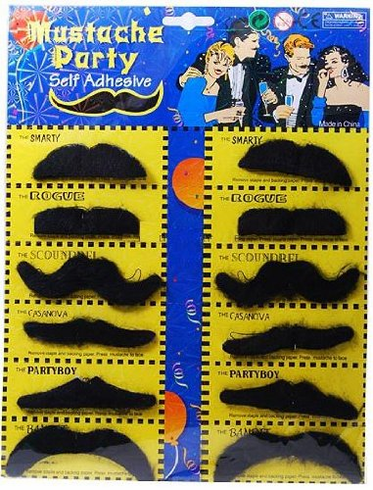 Set of 12 fake mustaches. Self-adhesive, one time use. Fun disguise or costume accessory. Imagine the fun you can have with these in a PHOTO BOOTH. Bwahahahaha! Not recommended for under 3.